Our on-boarding program is designed to turn new lifters into confident, capable, and self-sufficient gym members. Your on-boarding process is a series of five one-on-one sessions where you’ll learn everything you need to know to begin a strength training program, including comprehensive instruction on the barbell exercises, programming, nutrition guidelines, gym equipment, and more. Our goal is to ensure trainees fully understand our approach to strength training and are prepared to take ownership of their training. 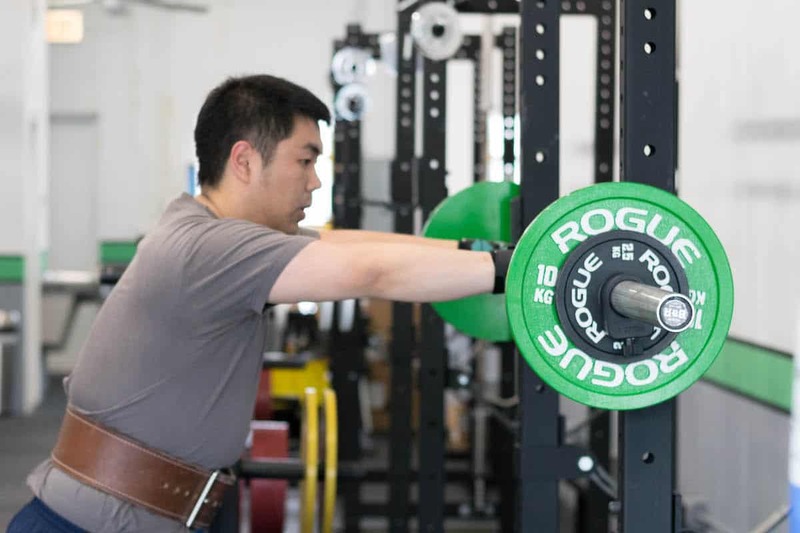 Test-Out: Lifters experienced with the Starting Strength method of training and/or transferring from another Starting Strength Gym may test-out the on-boarding requirement by demonstrating proficiency in the basic barbell lifts. Please contact us to schedule your evaluation. Graduates of our on-boarding program are invited to join the CS&C Barbell Club to continue their training. Our community of lifters is an awesome and supportive group of men and women of all ages (from 25-75, really!). Besides those right here in Edgebrook, our members travel from Lakeview, Logan Square, River North, and various Chicago suburbs. Most travel past at least 5 other gyms to train with us! Completely personalized, regularly updated programming — You are assigned a coach who works closely with you to get you strong and meet your goals. You’ll always know what to do. Access to our Barbell Club group training sessions to get personal attention and instruction from our expert coaches. Travel Programming — We understand you travel a lot. When we can we help you with finding a gym in your destination city, and continue to customize and deliver your programming while away. COMING SOON 24 hour key-card access — Perfect for those with demanding schedules, or the occasional so-called “sick day”. We believe that we are the best at what we do. We’re confident we can get you strong with our simple, safe, and effective training methods. You don’t have to take our word for it.